This tapas recipe works either as part of a Spanish-inspired brunch or as a tasty tapas dish in which the classic mix of eggs and asparagus is taken to the next level with the help of Serrano ham, walnuts and truffle oil. The dressing is super easy to make and accentuates beautifully all the ingredients. 1. Place all the ingredients into a food processor and mix until emulsified. 2. To prepare the asparagus: Trim off the woody end of the asparagus and blanch or grill until soft. The asparagus should still have a bite to it and it should not be too floppy when held upright. Season with a little sea salt. 1. Warm some olive oil in a frying pan and fry the egg until the yolk is lightly set. Remove the egg from the pan and dry on some absorbent paper. 2. To assemble the salad, place the salad leaves in a large mixing bowl and dress lightly. 3. Divide the leaves among four salad bowls. 4. Arrange the asparagus, ham, and walnuts around and among the leaves. Place the egg on top and season the yolk with a little sea salt. Finally, drizzle a little truffle oil over the entire salad. JP McMahon is a chef, restaurateur and author. 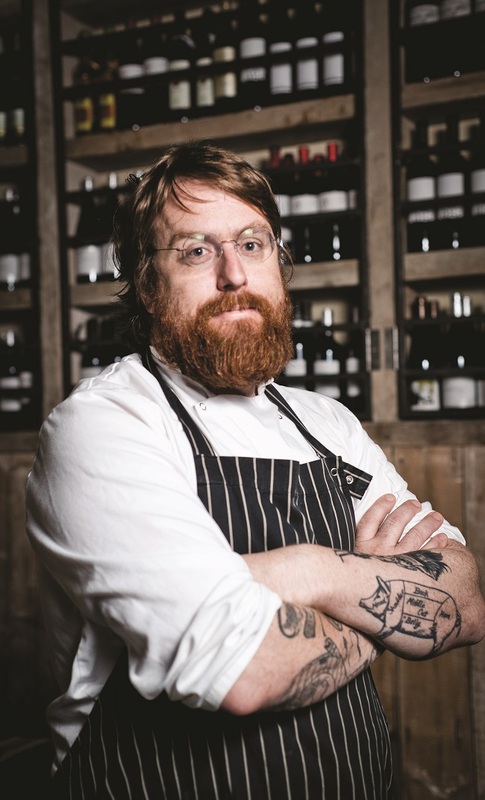 He is culinary director of the EatGalway Restaurant Group, which comprises of Michelin-starred Aniar Restaurant, award-winning Spanish restaurant Cava Bodega, and Eat Gastropub – which has inspired his next cookbook Gastropub Revolution. He also runs the Aniar Boutique Cookery School. JP is the founder and plays host to one of the biggest and most talked about international food events in Europe, Food On The Edge. The inaugural event took place in Galway in October 2015 with 2016 already causing stir. The event features the best international chefs from across the globe.Director, founding and current chair of the Galway Food Festival, JP is an ambassador for Irish food and a network leader for the global Cook it Raw project. He is also the ambassador for Spanish food in Ireland in particular promoting the wines of Rías Baixas (Galicia) and Jerez. Recipe taken from Cava Bodega Tapas: A Taste of Spain in Ireland by JP McMahon, available to purchase at RRP €25 from www.cavarestaurant.ie/pages/cookbook.html. For more information on the EatGalway Restaurant Group visit www.eatgalway.ie.